Have you wondered about the story behind Sukie's "Humble Beginning" slogan and the encased bicycle on the roof top of Sukie's bakery in Newtown? Or why Sukie himself manages to have his hand in every facet of his numerous businesses and still maintain he's a barefoot man like everybody else in Newtown? Quickly, "come le we go" with the Sukie story. To begin, the Sun newspaper sought out Herbert "Sukie" Winston, the man who has touched almost all Dominicans, through his bread and pastries, supermarket, gas filling station, at his modest home in Newtown, where the Caribbean Sea gently caresses the shore, in his back yard. Sukie was born to Florie George of River Street, Roseau; his father Dell Winston had left his young mother pregnant to seek greener pastures in Aruba; his parents had been adopted by Florie and Nenn Peter but had no blood ties. And as the two children grew and experimented, he was brought forth, and the Peters eventually adopted him four days after his birth. Winston said he was a very sick child and his adopted parents were convinced that he would not live for long to the extent that, "a coffin was prepared for burial". It was destroyed when he turned five. Young Winston attended a private school that was associated with the Wesley High School where he stayed for a year and a half, then to the Roseau Boys School for nine years and then on to the Dominica Grammar School for 5 ½ years. Winston said he begun assisting in the bakery when he was five, where they used the balisieré leaves (a close relative of the banana plant) in a brick oven - it still exists today - and used wood for fuel. He would remove the leaves from the bread and then bush it. Despite his chores in the bakery he still attended school regularly; later he was given a bicycle to deliver bread. That bicycle presently sits on the top of the Sukie Bakery in Newtown. Sukie recalls carrying up to 15 bags of fresh hot bread to Roseau, Massacre, Mahaut, Loubiere and Pointe Michel. Now, how did Herbert Winston become Sukie and Sukie became the name of a Dominica-styled conglomerate? According to him, his uncle owned an old van and he had a major accident; the van was extensively damaged. Winston's parents bought the wreck and Winston recalls being excited "because I saw that as the means of assisting me in the transportation of the flour, customs, balisieré and the wood." He said the metal box was replaced with a wooden one and was painted. 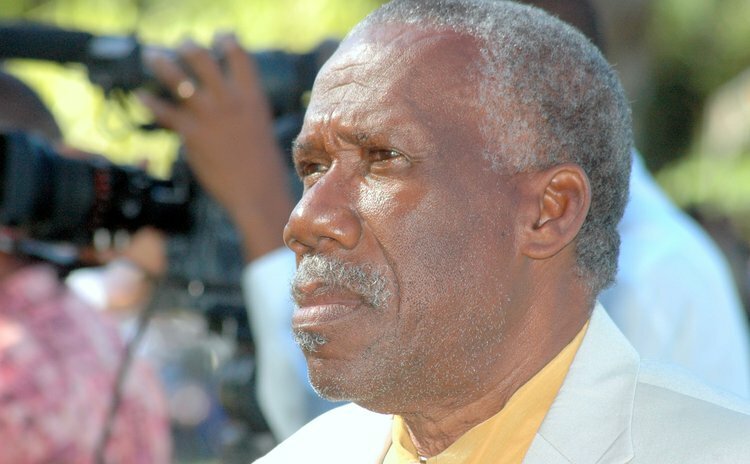 During that period, there was a very popular calypsonian named King Fighter of Trinidad who released a popular tune called, "Come le we go Sukie". So Winston decided to have the title of the song engraved on the van. After a while, the box of the reconstructed van deteriorated and had to be repaired; so the top where "come le we go" was written had to be repaired and replaced. The only word left was "Sukie" which was at the base of the front of the van. "So said, so it was done," said Sukie. "And up to this present moment the name Sukie is what it is, now a registered trademark." Subsequently, Winston's parents bought an old car, which he used to transport the bread, and the van was used for transporting materials (flour, wood etc.) and in a very limited way for a taxi operation. Later, Winston bought another car, and then another car, and then another car and… Winston Taxi Service, with nine vehicles was born. Sukie rented some and used the others to ply the airport route for over 24 years. During that time, he met his wife Victoria Winston nee Charles, a native of Marigot who later took a lead role in the Sukie business. "I could never, ever achieve my present status, without my wife being on my side. This is the reason why Sukie's Enterprises, unlike any other business in this country, does not have an owner," Winston said. The couple have been married for 40 years and have had two children, Sandra and Hubert. At one point in his life, Winston was also involved in butchering. He said he traded, with Daniel Green, his flock of 30 sheep for one cow. When he saw his profit, he began butchering as a weekend job for a few years. Winston said his father wanted to make amends and offered him a job in the United States, but he declined because he had to care for his adopted parents. "With no regrets, I stayed back; I am presently serving my family, the nation at large in diversified areas," Sukie said. These "diversified areas" include Island Petroleum, Sukie's Blue Flame Gas, Sukie's Supermarket, several apartment complexes and, of course, the bakery and several bread depots where Sukie says you should buy bread "by choice, not by chance". Asked about his business philosophy, Sukie said a leader must lead form the front and that's why his hands are in all facets of his bushiness. He wants to defy the odds and leave a legacy, that's why he's always on the move since he was born to serve, he says.